Although I generally use a socket set to tighten my bolts, I have lately tried a 17 mm ratchet wrench. It works well (the one pictured is 5/8 US; Valley sea kayaks use 17mm metric). One end ratchet, for easy nut turning, and the other is a non-ratcheting 17mm for holding the bolt if I need to while I use a socket wrench on the nut. 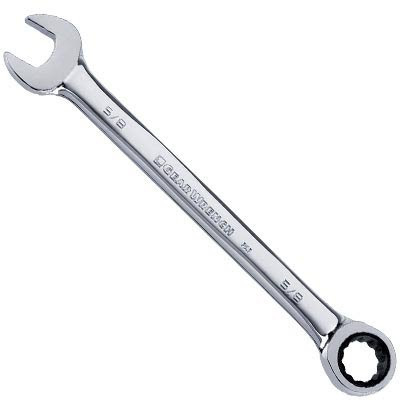 This wrench is particularly nice for easily stowing in the dry hatch for any beach landings and repairs or tightening that may come up. It's flatness makes for stowing convenience, and no chance or popping off a socket and losing it in the sand.